This online masterclass is tailored towards those with no prior experience with the graphic design software. 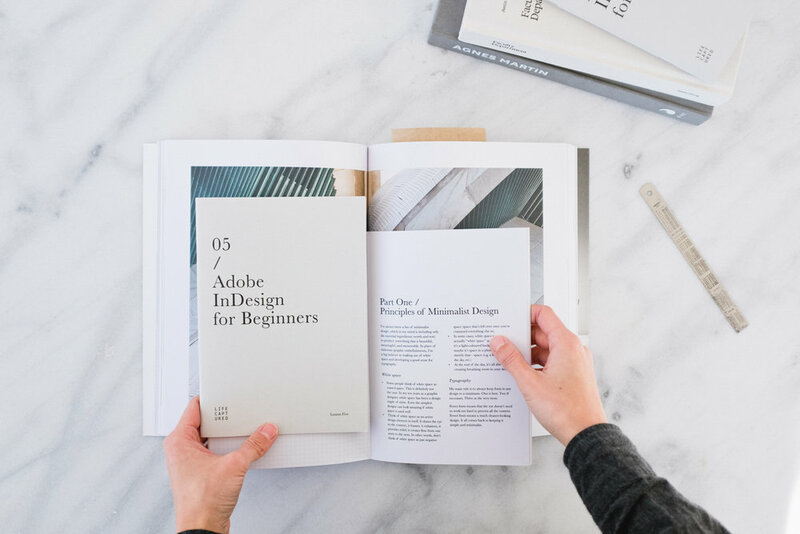 In addition to learning the principles of minimalist design and how you can apply it to your personal memory keeping, you will also learn the fundamentals of using Adobe InDesign for designing photo book pages and life-album layouts. Complimentary design templates will be included in this online class. Photoshop was designed primarily for image editing, whilst Adobe InDesign was built specifically for graphic layout and desktop publishing. In other words, InDesign allows you to easily create long multi-page documents like story books, and it is without question the best software for formatting large bodies of text. Once you are accustomed to using the software, creating a 200-page story book and other similar memory-keeping projects will become a breeze. This self-paced masterclass is taught by Ronnie. The course content includes videos, revision questions, practical exercises, homework assignments, individual feedback, and a dedicated private forum where students can get to know each other and ask Ronnie any questions to do with the course content. The investment for this online masterclass is $335.00 AUD, which includes a study pack containing the complete set of course booklets—all printed on recycled paper stock. This will be mailed to you prior to the commencement of the masterclass. No prior knowledge of Adobe InDesign is required. However, you will need Adobe Lightroom installed on your laptop or computer. You can download a trial copy of the software here, or you can read our Software page for more information about subscribing to the Adobe Creative Cloud.